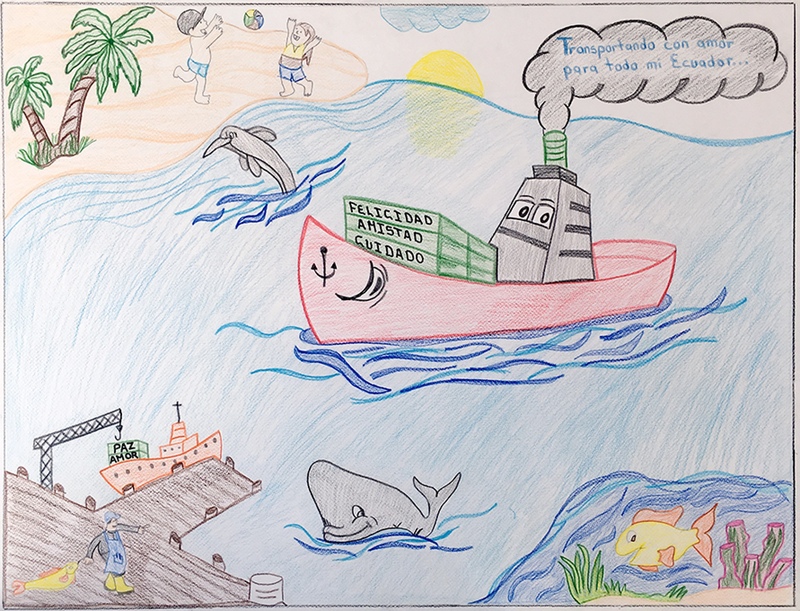 The annual art contest is sponsored by North American Marine Environment Protection Association along with the U.S. Coast Guard and the Inter-American Committee on Ports of the Organization of the American States. 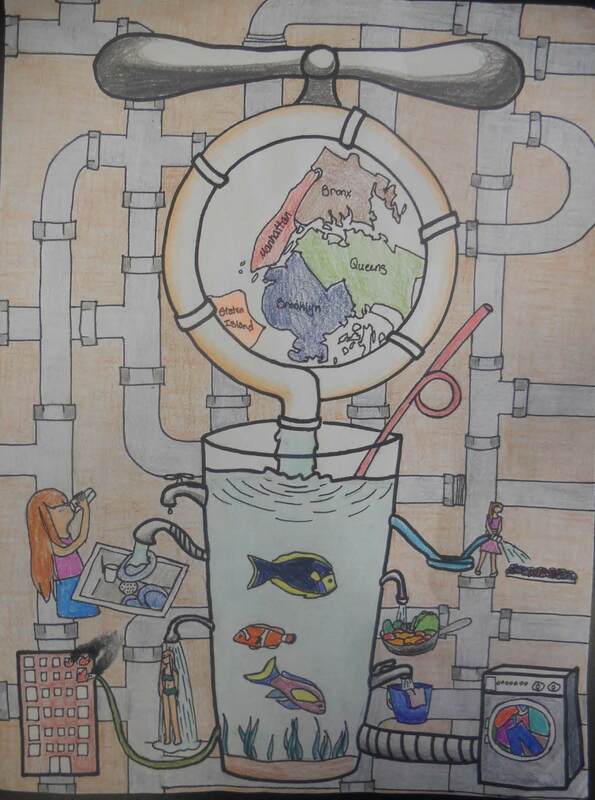 Camille’s drawing took the grand prize in the category for grades 6-12. She was presented with a certificate, $100 and other items by Coast Guard officials who visited her school two weeks ago. Nelson Valencia, a third-grader at Atahualpa school in Ibarra, Imbabura, Ecuador, was the winner of the grand prize in the K-5 age group. Five other finalists were named for each of the two categories. To view all the winning posters, visit the NAMEPA website. The winning posters have been compiled into a 2018 calendar. 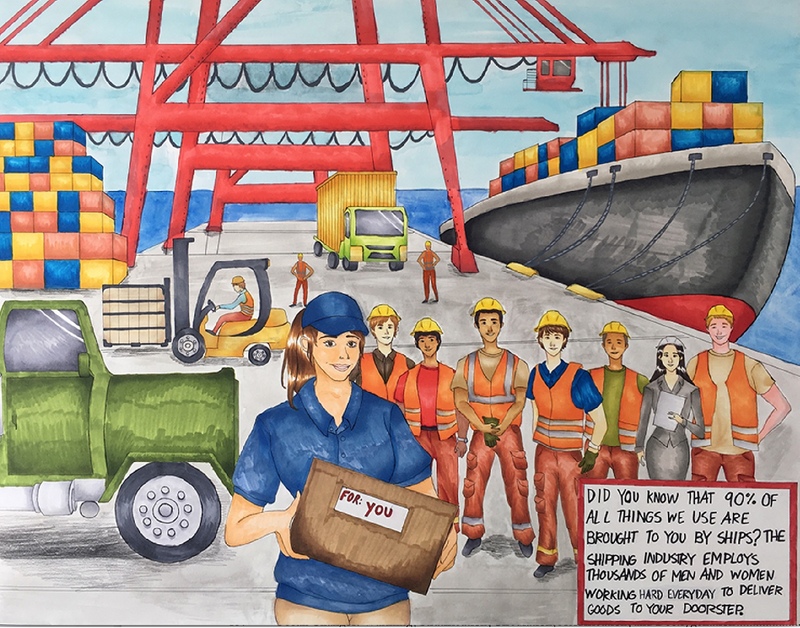 Students were asked to submit an original poster that creatively depicts the connections among ships, ports and people and how these connections affect everyday lives. The contest was open to students in grades K-12 throughout North America, Central America, South America, and the Caribbean. More than 500 entries were received, according to a news release about the contest that lists all the winners. 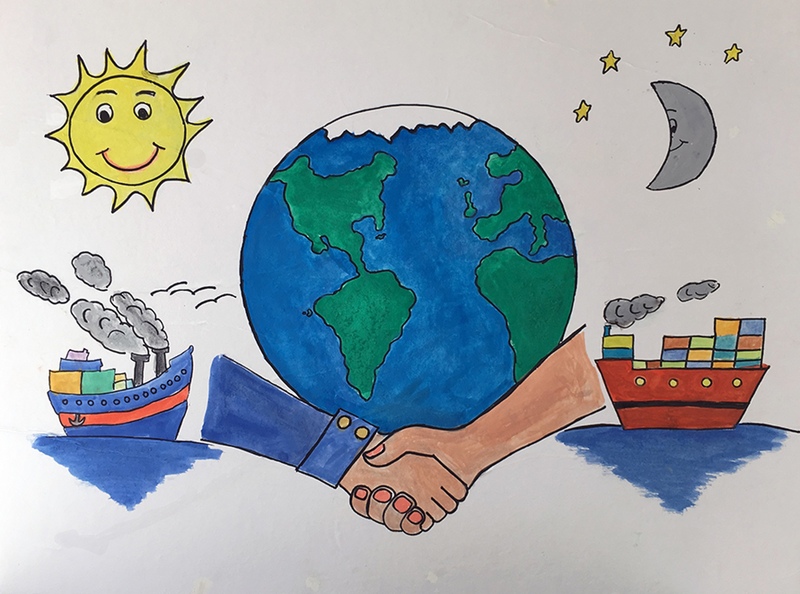 The theme for this year’s contest is “Better Shipping for a Better Future.” Submissions will be accepted between Jan. 22 and March 30. Details will soon be available on the NAMEPA website. NAMEPA, led by the maritime industry, promotes the preservation of the marine environment through best operating practices and by educating seafarers, students and the public about the need to protect natural resources. A webpage, NAMEPA Junior, provides a variety of activities for children. The U.S. Coast Guard is dedicated to protecting U.S. coastal areas along with maritime and environmental interests throughout the world. The Inter-American Committee on Ports (CIP) of the Organization of American States (OAS) brings together the National Port Authorities of all 35 sovereign nations of the Americas. The organization promotes sound and sustainable policies for the maritime industry. 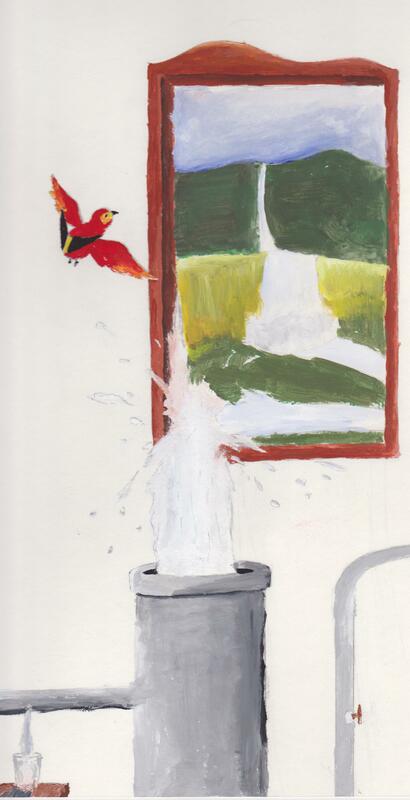 For the past 22 years, students from across the country have been painting and drawing some amazing pictures of ducks, swans, geese and related water birds. Each year, the best pictures are printed up as Federal Junior Duck Stamps, which can be purchased from participating post offices and sporting good stores. With the deadline for the 2015 art contest approaching, I thought it would be a good time to share some of these great artworks. The Junior Duck Stamp Conservation and Design Program is sponsored by the U.S. Fish and Wildlife Service. The $5 junior duck stamps are modeled on the $15 Federal Duck Stamps, purchased by hunters and used by others as a pass for national wildlife refuges. 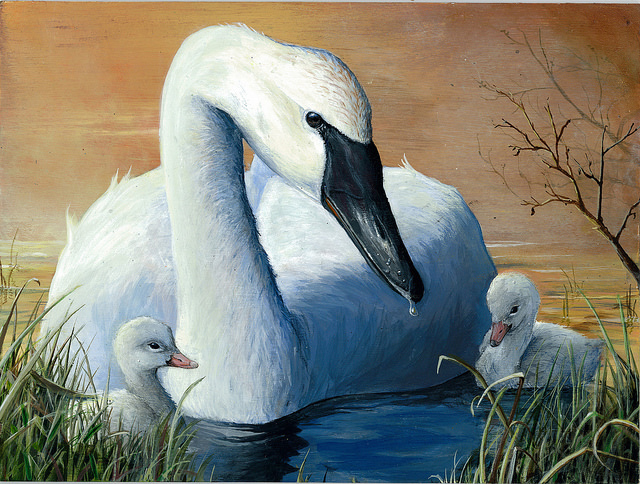 Second-place in the 2014 contest went to Andrew Kneeland, 16, of Rock Springs, Wyo., for his acrylic painting of a trumpeter swan with cygnets. 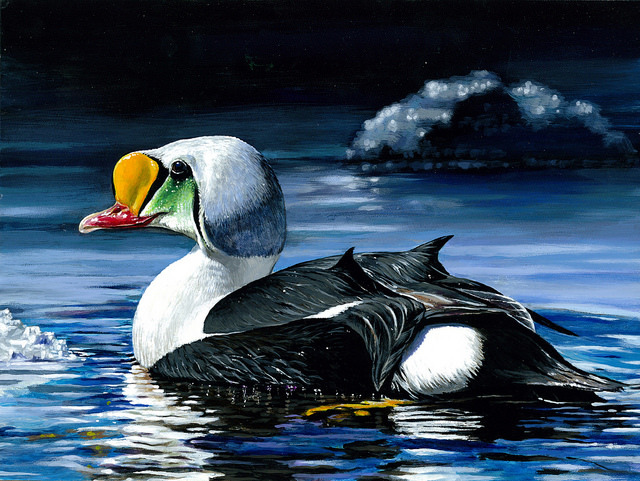 Proceeds from the junior duck stamps are used for conservation education, including a national curriculum for students from kindergarten through 12th grade. The national program involves elements of science, art, math and technology. 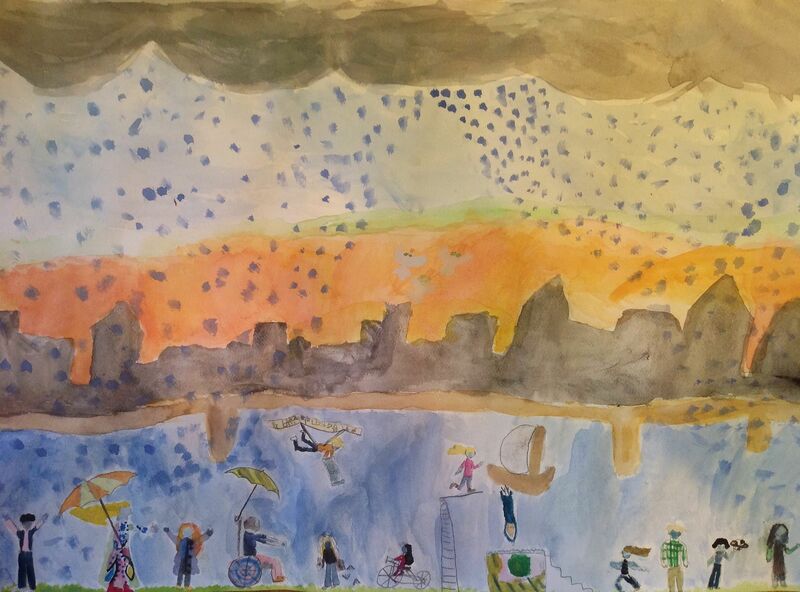 The deadline for the art competition is March 15. At the state level, students are judged in four groups by grade: K-3, 4-6, 7-9 and 10-12. Numerous awards are given in each group, and one “best of show” from each state are entered into the national competition in April. Participants are encouraged to include a conservation message with their entries. 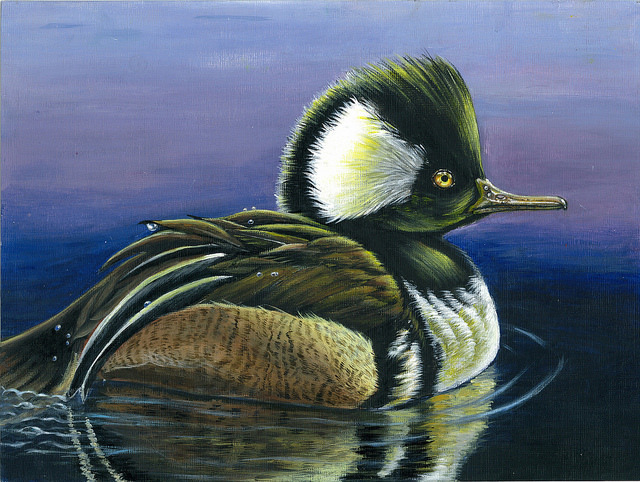 The third-place winner was Jiahe Qu, 15, of Chandler, Ariz., for an acrylic painting of a hooded merganser. Information on the contest and overall program is available on the website of the Junior Duck Stamp Program or download the junior duck stamp brochure (PDF 20.3 mb). Older artists may enter the Federal Duck Stamp Contest held in September. All the top entries in the 2014 Junior Duck Stamp Contest can be seen on the Flickr page of the U.S. Fish and Wildlife Service, along with the top entries for the Federal Duck Stamp contest. 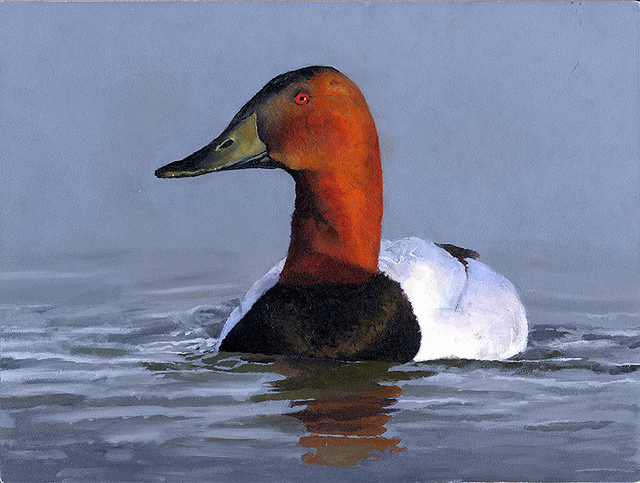 The 2013 winner of the Junior Duck Stamp Contest was 6-year-old Madison Grimm of Burbank, S.D., who painted a canvasback.